That’s right, folks! 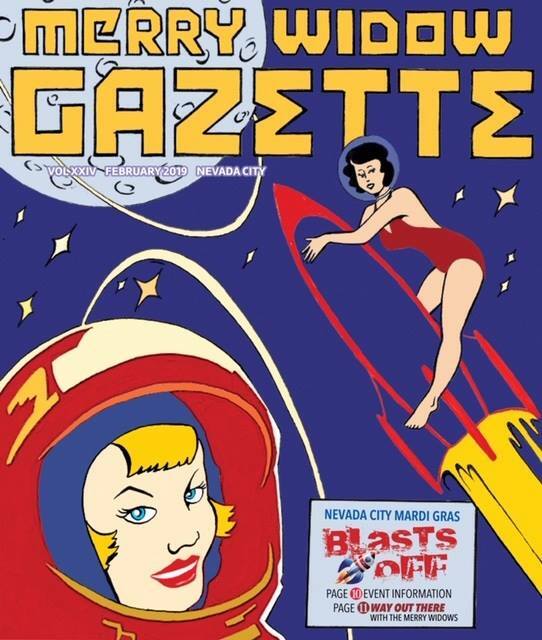 It’s the 2019 edition of The Merry Widow Gazette, and it’s available at enlightened businesses everywhere in Western Nevada County. And don’t miss the Mardi Gras parade on Sunday,February 17, which is actually President’s Day weekend, but nobody wanted to wait until March. We’re so durn ahead of our time in Nevada City!